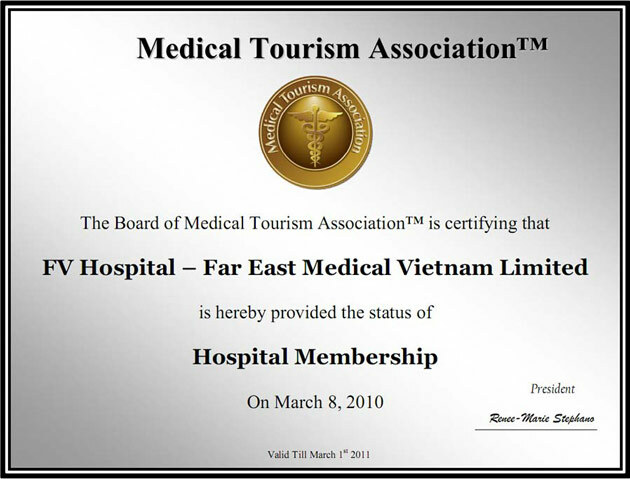 Officially opened in 2003, FVH is recognised as an international-standard, general-tertiary hospital offering a wide range of medical and surgical services – all under one roof – from consultation and diagnosis, through to treatment completion. The hospital complex comprises three main components: the main building, housing the main medical and surgical facilities; the annex clinic comprising the nuclear medicine and ophthalmology areas as well as the housing compound for staff. The main building is designed as a compact three floor square base or podium, unifying all out-patient departments, surgical facilities (nine operating theatres), ICU, NICU, radiotherapy, imaging, laboratory, accident and emergency, day hospital and administration areas. The design evolved from a strict circulation flow analysis and the optimisation of every link connecting departments. Each route was carefully assessed to minimise distance, the compactness ensuring more efficient M and E services. Suspended above the podium, we have designed a building which houses the hospital rooms, with two wards on each floor. The wards are organised around a central lift and vertical circulation core that lead to two corridors with rooms on each side. Between the corridors, medical and support services for the rooms are arranged to maximise cross circulation. The hovering effect of the building over the podium is accentuated by the glass façade of the intermediate floor, where the administration offices are located, and by the overhangs on both sides. The overall composition is a reflection of both stability and modernity, dispensing the latest medical treatment in the safest environment. The new interiors currently being implemented are also a reflection of the same aims. They are composed of very simple lines and organised in various compositions which mix soft and hard surfaces. The colours are also variations; each space retains some of the quality of the whole but is varied slightly. This will emphasise continuity in the different public areas – a reassuring element – while making each area unique. The roof of the podium is designed as a public garden for the use of both patients and staff. The garden opens onto the Conference Centre and the administration area. Also located here is a steel clad plant room, immediately above the operating theatres which centralises all the services for the theatres, allowing for easily access to equipment and for maintenance work to be carried out, without having to intrude into the theatre area below. Just outside and linked to the main building by a covered walkway is the clinic. This annex houses the nuclear medicine department and the ophthalmology clinic. The building is a single floor today, but is designed to potentially receive a two-floor extension. The housing compound is arranged around a shared courtyard, with a swimming pool and other shared amenities. It comprises nine houses and 25 apartments. The U shape is made up of a row of five houses, another row of four houses and an apartment block. The use of cantilevers and recesses into a white concrete façade throughout makes a rich pattern of light and shadow, as well as giving depth to the facades, together with protection from sun and rain. The hospital is built to strict and uncompromising construction and hospital specific international standards, in accordance with the various recognised regulatory authorities. Construction standards are as specified by Australian Construction Standards (ACS). Hospital-specific standards are as outlined by the IFC, ABD and HAS*. For example, environmental considerations, water management, fire safety, patient safety and power back-up, including uninterrupted power supply (UPS) batteries. In the advent of a mains power failure, the electricity supply to equipment and to key parts of the building (ICU, theatres, computer server, etc.) will be uninterrupted. FVH has been built to standards as high as, if not higher than, most developed nations: it is a place where quality and uncompromising standards are of paramount importance.